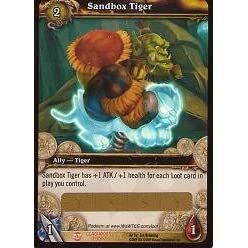 World of Warcraft Collectible Trading Card Game Loot Card with code redeemable for in-game ‘Tiny’ mount. “Say hello to our newest little friend. Tauren and Draenei, we have the ultimate irony youve been waiting for. 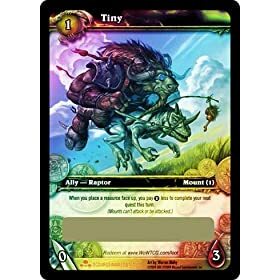 Thisloot card will give you a mini mount that will carry you around as fast as his little legs will take himwhich isnt any faster than your character can run, but hey, its the thought that counts. 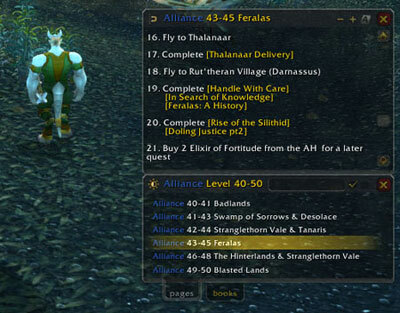 Horde characters will get a baby raptor version of the mount, and Alliance will get a pony version. 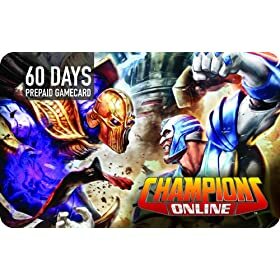 Each code will be redeemed for 50 uses, so youll be able to get lots of work out of Tiny for each card you get your hands on. 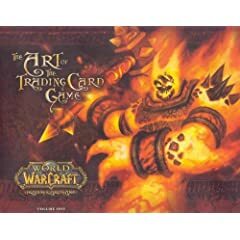 World Of Warcraft ART OF THE TRADING CARD GAME Hard Cover by Jeremy Cranford, Samwise & Glenn Rane With more than 300 pieces of art from the likes of Samwise Didier, Todd McFarlane, Greg Staples, Zoltan Boros, Gabor Szikszai, Marcelo Vignali, and other talented visionaries, this tome serves as the first collection of the best paintings and drawings created for the World of Warcraft Trading Card Game. 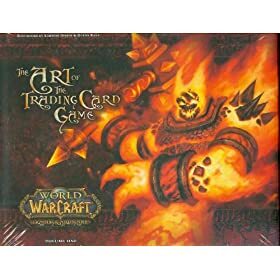 With more than 300 pieces of art, this book is the first collection of the best paintings and drawings created for the World of Warcraft Trading Card Game. A storm rages in the Blasted Lands as evil stirs with the Dark Portal. Bloodshed in Azeroth intensifies as the Blood Elves and Draenei join the fray. Already the great conflict spills over into the other world…the Burning Legion looks on and plots its next move. Grab your weapons and make ready, the darkness is upon us! Heroes will be made. Legends will be written. Heed the Call! 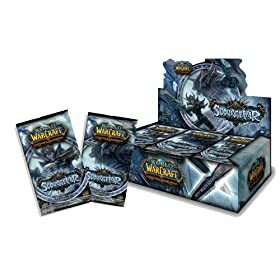 Through The Dark Portal Booster Packs allow players to construct decks for casual and tournament play, and are the most cost-effective way to complete their set. 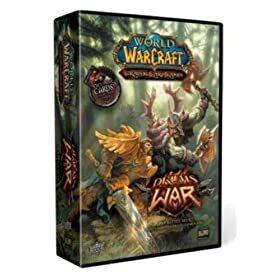 Enhance your online Warcraft character via uniquely-coded rare Lootâ„¢ Cards! 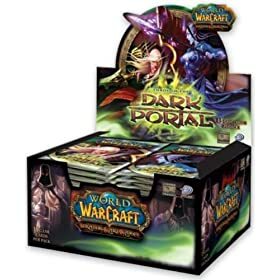 Each World of WarcraftÂ® Through the Dark Portal Booster Box contains 24 packs with 15 game cards and one UDE Points card per pack. Don’t miss out!